The Participant Workbook for The Bible and the Virgin Mary will serve as your companion for the duration of the series, helping you better retain what you’ve learned so that it can more easily be applied to your daily life. Full-color masterpieces painted by brilliant artists like Raphael and Bouguereau capture the eye and, more importantly, move the heart. Inspirational quotes from Scripture, the saints, and recent popes, make the lessons of each chapter more tangible and serve as a little gold nuggets worthy of memorization. Helpful visuals simplify and make clearer large amounts of important Scriptural details. Finally, engaging review questions and discussion topics inspire participants to give their lives more to Christ and provide practical life application. Additional resources are contained within the workbook for personal faith enrichment: Marian prayers, Bible and Catechism references, and preparation readings. This guide is vital component for the participant’s absorption of all the riches The Bible and the Virgin Mary has to offer. 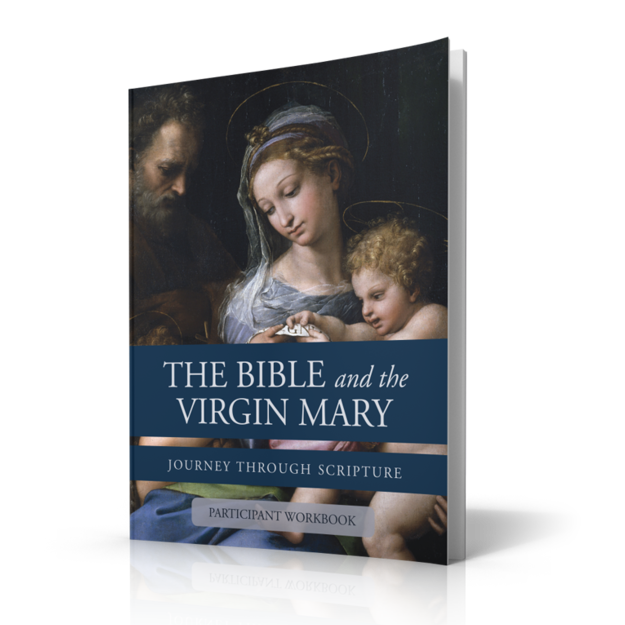 The treasures in this workbook will help the individual better understand the Biblical Mary, and, thus, his Catholic faith. 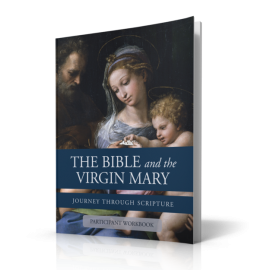 Be the first to review “The Bible and the Virgin Mary – Participant Workbook” Click here to cancel reply.